Stars: Mia Serafino, Zachary Mooren, Erik Griffin, Matt McFarlane, Matt Bush.. 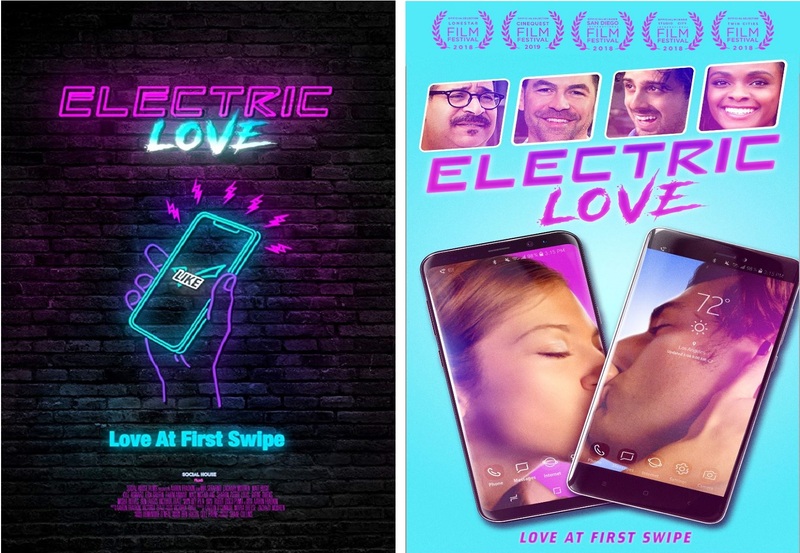 The new romantic comedy Electric Love follows four couples as they traverse the modern dating scene in Los Angeles utilizing dating apps like Tinder and Grindr. Emma (Mia Serafino) and Adam (Zachary Mooren) swipe right and fall head first into a passionate relationship, ignoring red flags along the way. Greg (Matt Bush) deals with obstacles in finding a genuine connection on the Grindr scene… until a sudden match may have turned his luck around. People who are dating/rendezvousing in the modern technological age have lots of tools at their disposal: Tinder, Bumble, Grindr, and those are only three of the apps talked about at length in popular culture. We follow Emma and Adam and how they find each other after a series of dates gone wrong. They spend a night together and quickly begin a relationship. Over the next few weeks, they have to find ways to make their blossoming courtship work as long as life, work, jealousies, and longtime friendships don't get in their way. Through connections with friends we experience different types of people and relationships throughout the story. This is a sweet romantic comedy with witty dialogue and awkward situations that come out of dates-gone-wrong and even some dates-gone-right. As some of these people struggle through their insecurities, whether they stem from an unrequited 'I love you' or irrational jealousies because of a boyfriend and his platonic female friend, we are brought into and become interested in their interconnected lives. "Electric Love" is an extremely relatable film. It's coming to DVD at TLAGAY 5th February 2019. Check out the trailer below and click HERE to pre-order your copy. Plot Keywords: Los Angeles, Dating Apps, Gay/Str8, Grindr/Tinder, Hooking Up..